The wait is over. 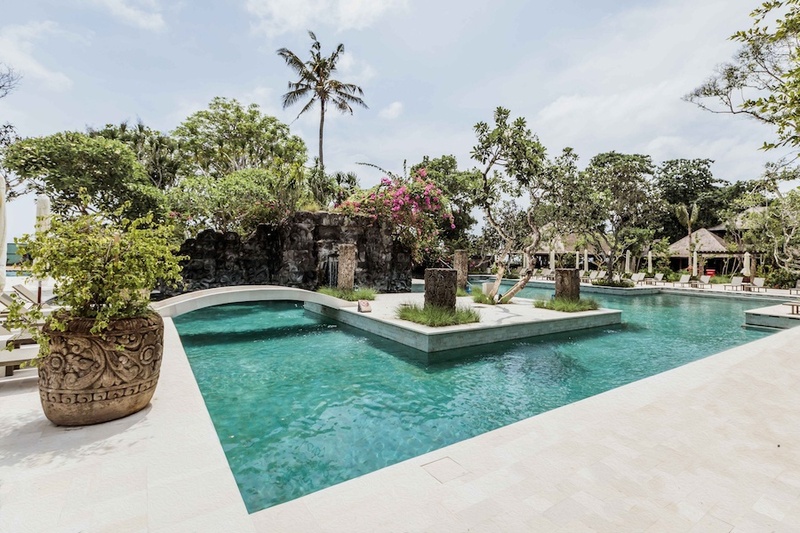 The legendary Bali Hyatt in Sanur finally reopens after an estimated 3-year delay, rebranding as the Hyatt Regency Bali, expected to bring a warm, luxurious experience to the classic Balinese charm they were always known for. 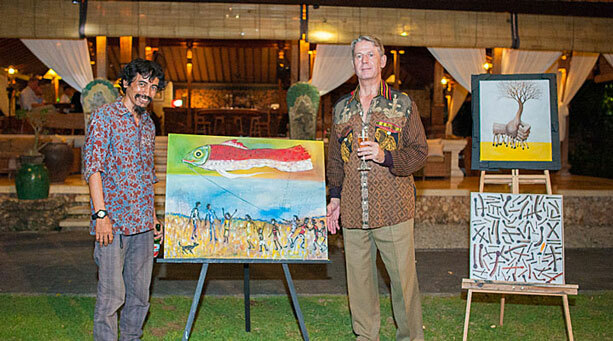 To this point, the hotel certainly held on to its old Balinese charm that people loved but had become outdated. The time seemed right for a fresh look… However, after 2 years closed, the hotel remained shut, fans of the old Hyatt Bali waited indefinitely. Finally, 5 years after its closure, the Hyatt Bali has been revived, better than before, emerging as one of Hyatt’s premium brands, Hyatt Regency Bali. Spread across nine hectares of land, Hyatt Regency Bali is one of the largest hotel developments in Sanur, known for its majestic gardens originally designed by the famed tropical landscape artist, the late Made Wijaya who created the Naples Botanical Garden in Florida and outdoor landscaping for David Bowie and Francis Ford Coppola – also a former contributor to NOW! Bali Magazine. 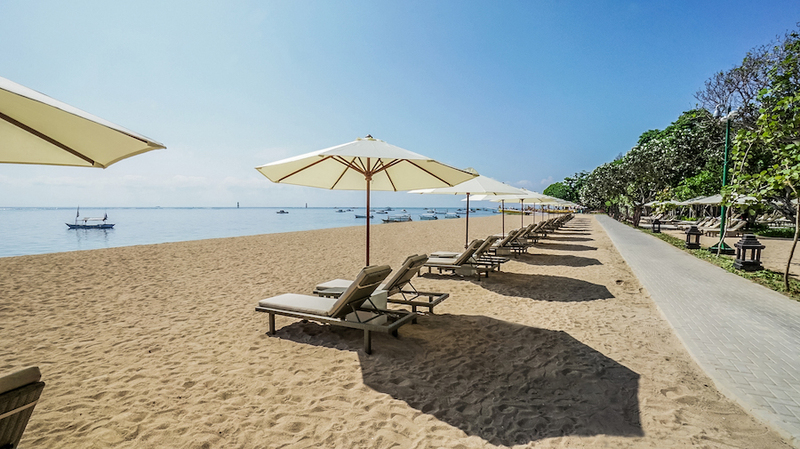 In addition, Hyatt Regency Bali fronts onto 500 metres of beach—among the widest beachfront in Sanur. The area is of course favourite for families, backpackers as well as retirees, as it retains an atmosphere of yesterday’s Bali – a calm, village-feel. The original buildings and gardens at Bali Hyatt were considered great treasures— one of the first examples of luxury Balinese design and landscaped tropical gardens in the world. Therefore the overriding brief for Tierra Design of Bangkok and Spin Design Studio of Tokyo was to rebuild structures and modernise facilities while preserving the look, feel, character and soul of the original Bali Hyatt and to integrate the interiors throughout with the stunning natural environment. 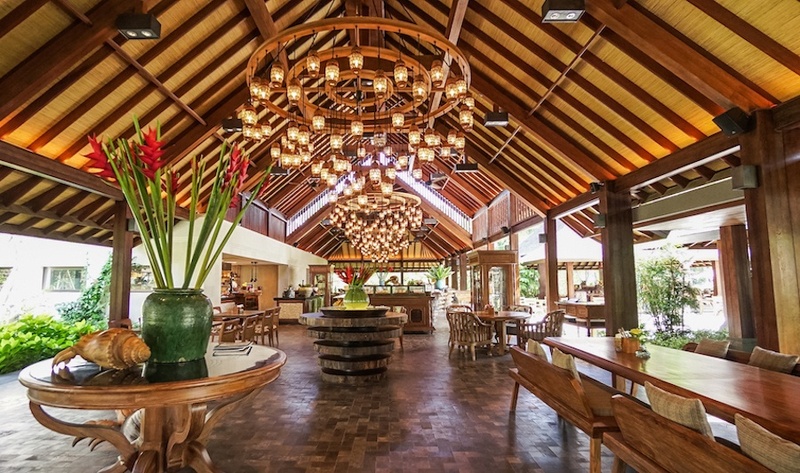 For instance, the Lobby was rebuilt as the original with its rustic thatched alang-alang (elephant grass) roof, but opened up to provide improved views of the gardens and Indian Ocean. Throughout the hotel, local materials and techniques, such as hammered copper, rattan, bamboo and coconut shell, have been integrated with a modern approach and statues, batik printing blocks and Balinese wood and stone carvings from Bali Hyatt have been repurposed as wall art and sculptures. Today when guests arrive at Hyatt Regency Bali and climb the stone steps to the vast open-air Lobby, the space will feel reassuringly familiar and distinctly Balinese but at the same time refreshed and contemporary. 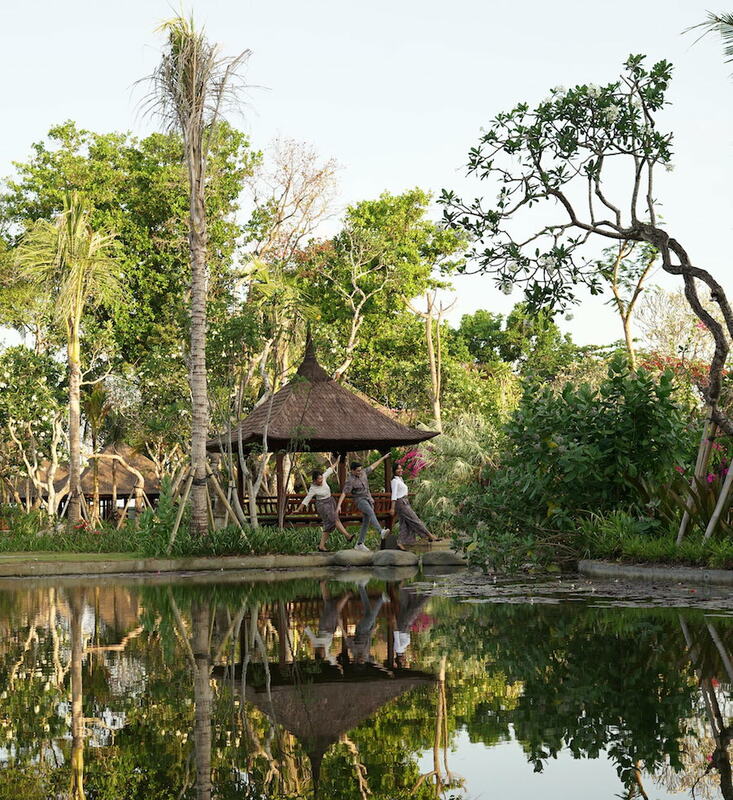 As they check in, they will catch their first glimpse of Made Wijaya’s legendary gardens and ponds. Hyatt Regency Bali houses 363 rooms spanning 27–81 square metres, each featuring a private balcony overlooking the lush gardens or Indian Ocean. 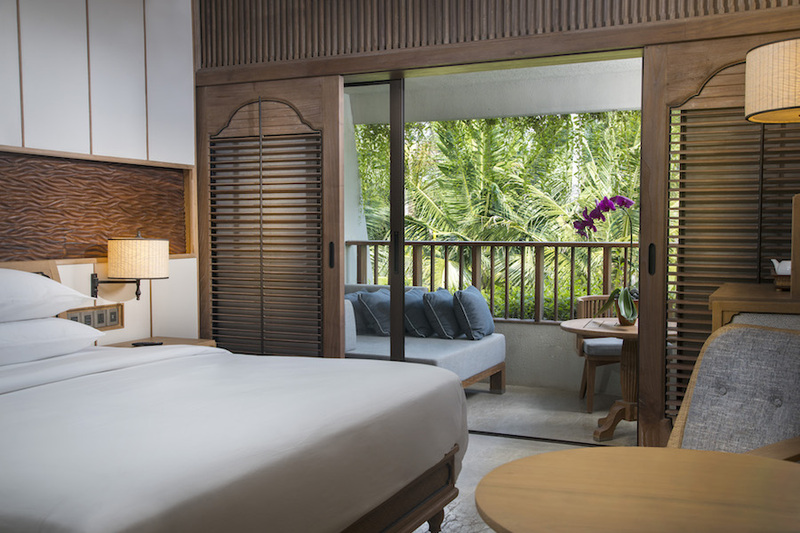 A study in modern tropical chic, the rooms feature myriad Balinese touches from distinctive carved banyan wood or half-split bamboo wall panelling to woven rattan panels on doors and furniture. The hotel includes 39 one-bedroom suites with spacious balconies up to 70 square metres in size. With a separate living room that can accommodate an extra bed and an additional powder room with a shower, the suites are ideal for families and groups. In addition, booking a suite include access to the Regency Club Lounge offering a private concierge and complimentary breakfast, all-day snacks and evening cocktails and canapés. Omang Omang is the hotel’s all day dining space offering comfort food from Indonesia and around the world. Alongside views of the gardens and pools, Omang Omang will serve a buffet breakfast, resort favourites all day and charcoal-grilled seafood and prime cuts come evening, as well as what it considers the best Es Campur (coconut shaved ice) in town. 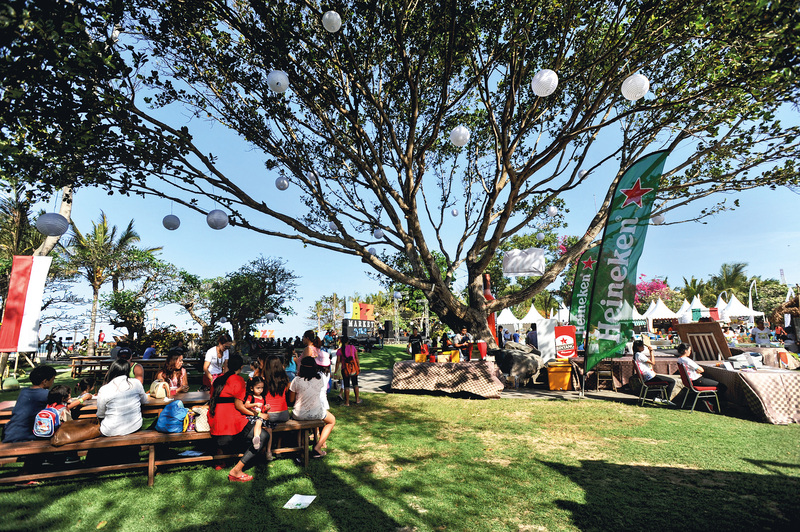 For stunning sea views and sundowners, Pizzaria is hard to beat. The casual drinking and dining venue overlooking Sanur Beach specialises in pasta cooked à la minute, pizza baked in wood-fired ovens, frozen cocktails and Italian sodas muddled with fresh fruit and herbs. Against a backdrop of gamelan (Indonesian percussion) musicians by day and piano accompaniment by night, Piano Lounge is ideal for a quiet drink, casual business meeting or social gathering. Continuing the Indonesia tradition of arisan, where ladies congregate, a signature afternoon tea will be served alongside barista-made Indonesian coffee and loose-leaf tea. The Hyatt Regency Bali is home to three different swimming pools right by the beach: a Lap Pool; a shallow Children’s Pool; and a Main Pool surrounded by bounteous overhanging bougainvillea where guests can swim through a replica of Goa Gajah—the 9th-century ‘elephant cave’ temple near Ubud—carved out of volcanic rock. The resort also features a 24-hour fitness centre, Shankha Spa, a Yoga Studio and Camp Hyatt children’s facilities featuring outdoor playground, indoor playroom, programs and activities. 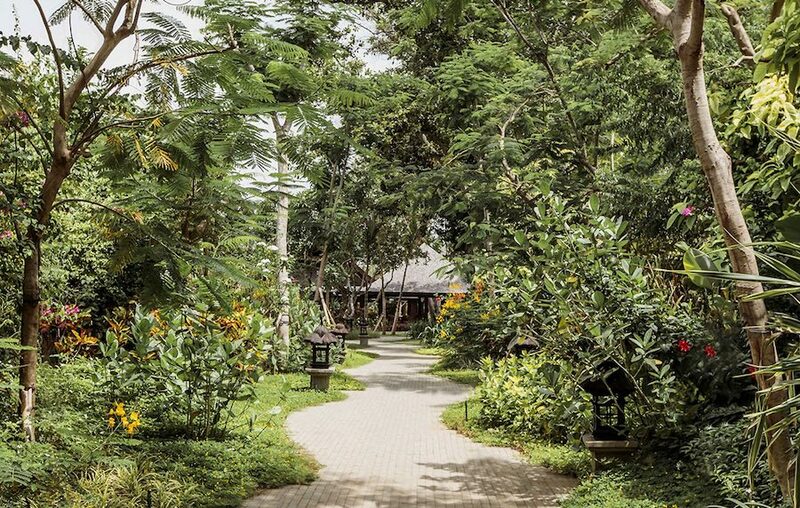 Without a doubt, old guests of the ‘Bali Hyatt’ will be returning to see the result of their old friend’s makeover, whilst many new guests will flock to witness the legendary gardens and grounds for the first time. The Hyatt Regency Bali is a fresh, welcome addition to Bali’s hotel scene, but most of all, at least the wait is over!